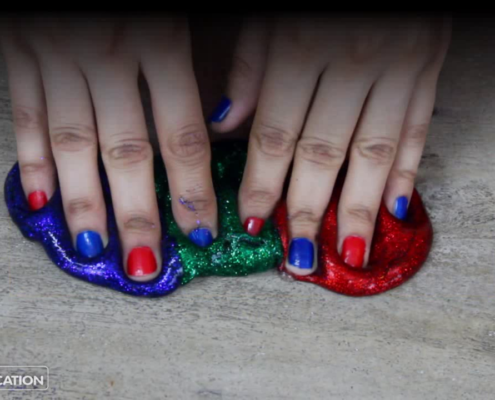 Learn how to make Mermaid Slime – with Mixing 3 different Glitter Colour Slime. 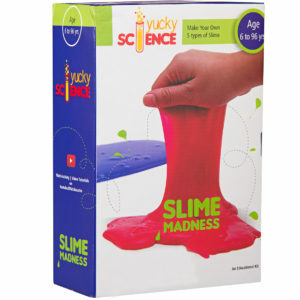 This Slime making activity is a Part of Yucky Science Galaxy Glitter Crunchy Slime. Watch Video for Instructions. 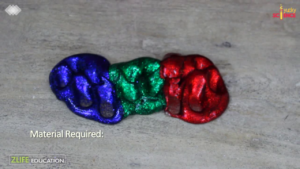 Make 3 different Glitter Colour slime. Click to know. Join all these slime side by side. 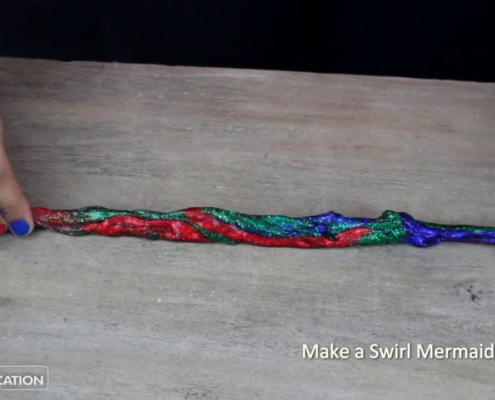 Swirl this slime to make a Mermaid swirl. 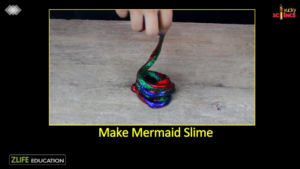 Your Mermaid Slime is Ready to Play with ! 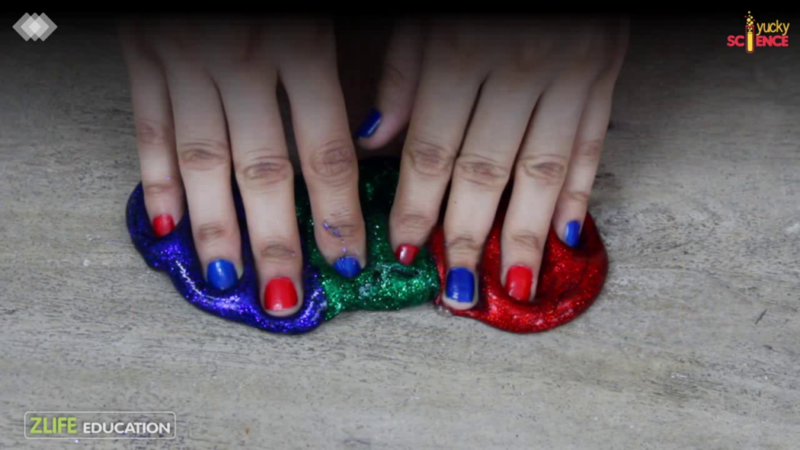 If your slime is very sticky, you can add few more drops of borax and knead it to make the slime to your liking. 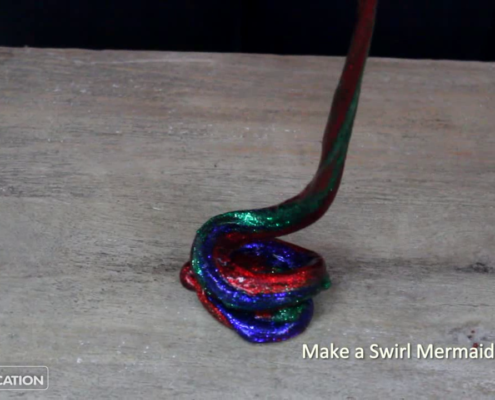 Keep your Slime at rest for 30 Minutes after making for better bonding. 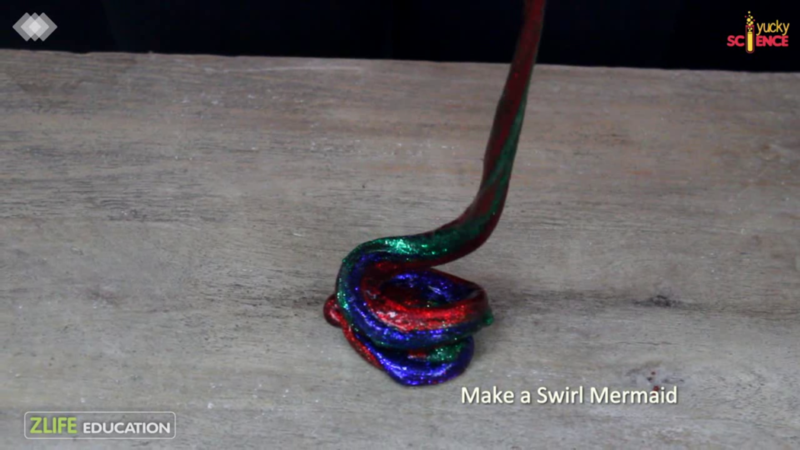 Dont Eat your Slime or any other Experiment. 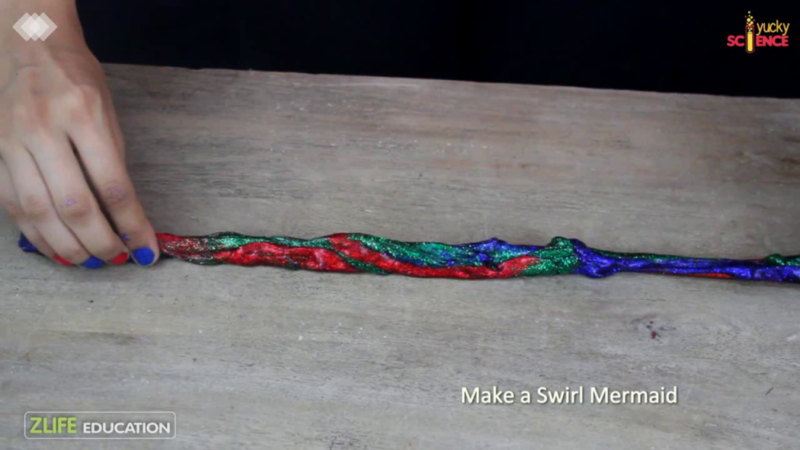 Cool Experiments Sent to you Every Saturday !